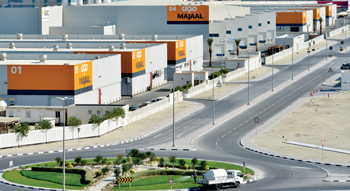 Majaal Warehouse Company believes its purpose is to facilitate growth. Considering the follow-on investments and employment generated by the 32 tenants who fill the 400,000 sq ft of leasable area, Majaal looks to be delivering on that promise. 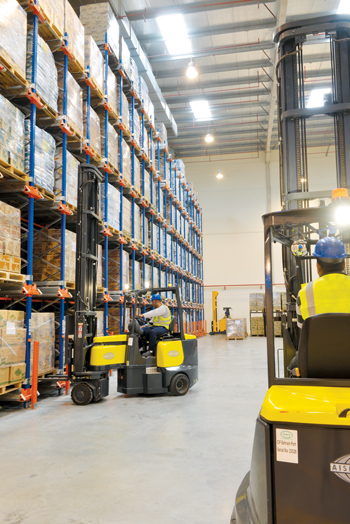 The Bahrain-based company, which now operates over $60 million dollars’ worth of flexible use industrial space, is becoming a significant economic force multiplier for the industrial sector of Bahrain’s economy, and it is showing aspirations to grow regionally. By taking the lead in developing these properties despite the economic challenges of the past several years, it has established itself as a clear leader in the sector. Having completed the third and final phase of its initial investment, the wholly-owned subsidiary of Kuwait’s First Bahrain Real Estate Development Company has its sights in Saudi Arabia and Oman where it hopes to replicate its model. The company says it is actively looking at raising capital to set up similar projects there, paving the way for regionalisation of the SME-oriented brand that Majaal has so successfully instituted in Bahrain. Key to the company’s success has been the flexibility of its offerings, which Amin Al Arrayed, Majaal’s co-founder and managing director, characterised as a competitive advantage. “Our design was very open span, with no columns, so we started to find ourselves able to serve a vast variety of customers – we weren’t locked in on one sector. We have banks, bakers, factories, and printhouses,” he explained to The Gulf, a sister publication of Gulf Industry. Another feature that Majaal’s tenants could capitalise on was access to raw materials and services from companies within the Bahrain Investment Wharf and the wider Salman Industrial City. “There’s a lot of referral business. And the vibrant community in Salman Industrial City translates into business – for example, Arabian Sugar (based at nearby Bahrain International Investment Park) does its packaging in Majaal,” said Al Arrayed. One of Majaal’s prime tenants is the Abudawood Al Saffar Company (ASC), the local distributors for Procter & Gamble and many other global brands. With their high volume of trade, ASC had special requirements which went into their custom-built facility, proving Majaal’s ability to manage the delivery of such a project. It took Majaal five years of courting and nine months of negotiations before it came on board, acknowledges Al Arrayed. On the strength of the deal, the company secured more than $13 million in Islamic finance to complete the construction of the project. 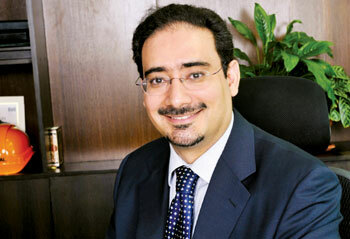 Majaal’s experience in Bahrain will come in handy as it now seeks to grow its operations regionally. Built in the midst of a season of austerity following the global economic downturn in 2008 and a subsequent season of uncertainty in 2011, the company is built on a lean and entrepreneurial team. Majaal anticipated Bahrain’s changing economic priorities, believing that growth in financial services would not be sustainable after the global financial downturn and that there would be opportunities with the Bahraini government investing in industry and logistics and a new port – Khalifa Bin Salman – opening and highways coming up. “We were in sync with government strategy, which is vital in the Gulf,” said Al Arrayed in a reminiscent mood. Based on its established experience, Majaal’s team expanded its services to offer full investment lifecycle support for owners of industrial lands. These services range from project feasibility analysis to oversight of development and on to leasing and facilities management. Having earned the respect and trust of major Kuwaiti real estate developer, Al Mazaya Holding Company, Majaal began its first such engagement in the fall of 2013. This “Managed by Majaal” property, along with another related development, will begin receiving new tenants in February 2015. In 2012, 100 per cent of First Bahrain’s rental revenue was generated by buildings which represented just 13 per cent of the value of its investment properties. By early 2014, the Kuwaiti company said it had converted 39 per cent of its raw land holdings into income-generating assets like Majaal. As a result of leases signed during 2013, Majaal is on track to triple rental revenue over the coming two years. “We really made it work,” observed Al Arrayed, highlighting there were now 32 SMEs residing in the Majaal facilities. He added: “Each of these companies are active and employing people and in many cases, these companies represent foreign direct investment to the country; thus Majaal’s investment in Bahrain has been multiplied through the activities of each of its tenants. These were wins for both the brand and the country”.